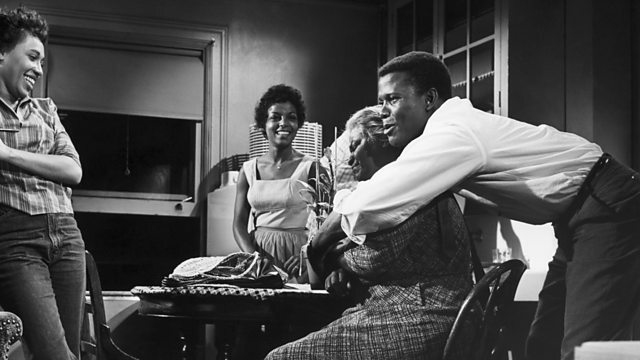 'A Raisin in the Sun' opened on Broadway in 1959. It had an almost exclusively black cast and a black director too. The playwright, Lorraine Hansberry, based it on her own story. 'A Raisin in the Sun' opened on Broadway in 1959. It had an almost exclusively black cast and a black director too. The playwright, Lorraine Hansberry, based it on her own family's story of being forced out of a white neighbourhood in Chicago. The title is from a poem by African American poet Langston Hughes about a dream deferred - 'does it dry up like a raisin in the sun?'. Audio: With thanks to WFMT radio and the Studs Terkel radio archive.